What Is Ovarian Rejuvenation & Can It Really Help With Fertility? When it comes to fertility treatments, sorting out what actually works from the hype can be tricky. Given that the stakes are high for people who want to have children, choosing the safest, most effective and most affordable procedure for you is key to managing fertility issues. According to the Mayo Clinic, premature ovarian failure is a loss of typical ovarian function before age 40. With POF, the ovaries stop producing consistent amounts of estrogen, while ovulation stalls. POF often results in infertility. But a technique called ovarian rejuvenation may offer hope for people dealing with POF. 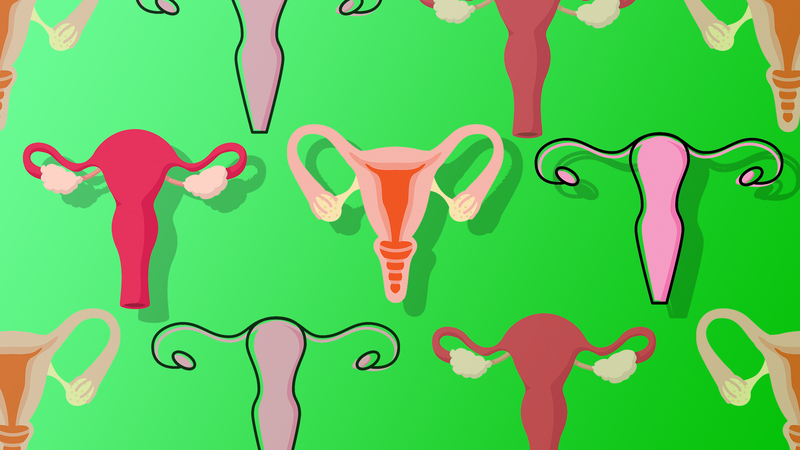 We spoke with some doctors and fertility experts to find out what ovarian rejuvenation is, how it works and whether it's effective. Ovarian rejuvenation refers to a variety of procedures designed to help women up their chances of conception. According to an article by Dr. Zaher Merhi, a reproductive endocrinologist at the New Hope Fertility Center, ovarian rejuvenation can help people with POF or even those who are postmenopausal become candidates for in vitro fertilization and other fertility treatments. Merhi further explains that proponents of the procedure say that doctors can actually stimulate dormant egg follicles via needles, making it possible for some women to conceive again. According to resources provided by the New York Fertility Institute, another version of the ovarian-rejuvenation procedure is to inject a patient's ovaries with their own platelet-rich plasma. This involves a two-step process in which the patient’s own blood is drawn. The platelets and white blood cells in the blood sample are then separated by centrifugation, so that the platelets can be isolated for use. The patient’s ovaries are then injected with their platelet-rich plasma in order to stimulate the ovaries — and this part of the process happens under intravenous sedation, the New York Fertility Institute further notes. Who is a candidate for ovarian rejuvenation? According to the New York Fertility Institute, ovarian rejuvenation is best suited for perimenopausal and menopausal women who have POF or low egg reserves. For about one to three months after the procedure, hormone levels are measured to assess how well the ovaries responded to the treatment. The rise in fertility-promoting hormones post-procedure is the best indicator the technique was effective and you can then attempt to get pregnant via whichever way is best for you. The New York Fertility Institute says it can take time for a patient’s ovaries to regenerate tissue. Some people respond more slowly to the procedure than others do, and everyone’s body is a bit different. Does ovarian rejuvenation actually work? It’s important to note that the ovaries contain a finite number of eggs in the first place according to an article on the Center for Human Reproduction's website, and these are irreplaceable. The article also notes that while many ovarian-rejuvenation techniques can help address the aging process of the ovaries in some ways, it can’t resupply them with new eggs. Understanding what the procedure can and can’t do is important. While some ovarian-rejuvenation techniques, like those used by clinics like the Center for Human Reproduction, might boost egg quality via the use of androgen or human growth hormone (and some rejuvenation procedures are much more invasive), not all ovarian-rejuvenation procedures work the same way. According to the article on the Center for Human Reproduction's website, while the less-invasive ovarian needling technique may help awaken dormant eggs and result in follicle stimulation and conception for some patients, it won’t generate new eggs. The article also concurs with Gleicher, saying more studies are needed to fully determine how effective these procedures really are overall. Kort also says more studies are needed to better understand which versions of ovarian rejuvenation are most effective in the long-term. That said, Dr. Adeeti Gupta, founder of Walk In GYN Care in NYC, tells SheKnows ovarian rejuvenation is a relatively new procedure and the jury is still out. While fertility issues can be disheartening and figuring out which treatment procedures are best for you can feel overwhelming, there are effective options available — though some may work better than others. While there is no guarantee of pregnancy with any type of fertility treatment, you can up your chances of conception by reducing stress as much as possible. Additionally, a good self-care routine to boost fertility — such as avoiding smoking and alcohol, eating well, getting some kind of exercise in throughout the week and sleeping enough — can all help you in your efforts to get pregnant.